Whirlpool partnered with Schneider Electric to design an actionable, global sustainability strategy and implement it across 40 global manufacturing sites. The key to the success of the program is data. Whirlpool Corporation is a global leader in major home appliance manufacturing, present in nearly every country with more than 15 brands. Founded in 1911 as the Upton Machine Company, Whirlpool has been innovating home appliances for over 100 years. To meet sustainability commitments central to the company’s mission, Whirlpool needed to design an actionable strategy and implement it across 40 different manufacturing sites around the world, including Brazil, Poland, and the U.S. The approach was reasonable but also posed a significant challenge for the company’s small sustainability team. Partnering with Schneider Electric enabled the team to clearly define goals, and get the right tools to collect and act on resource data. With global data tracking capabilities, Whirlpool can monitor both its ROI and overall sustainability performance. Meet ambitious sustainability targets, including renewable energy leadership and zero waste to landfill in all manufacturing plants by 2022. Strategic consulting, resource-saving improvements, and data collection from facilities worldwide. With data and reporting now available in a single global platform, Whirlpool can identify inefficiencies, benchmark performance, save money, and measure progress toward its sustainability goals. Three plants in Brazil have already achieved the zero-waste-to-landfill goal, two years earlier than expected, and more sites are making significant gains. 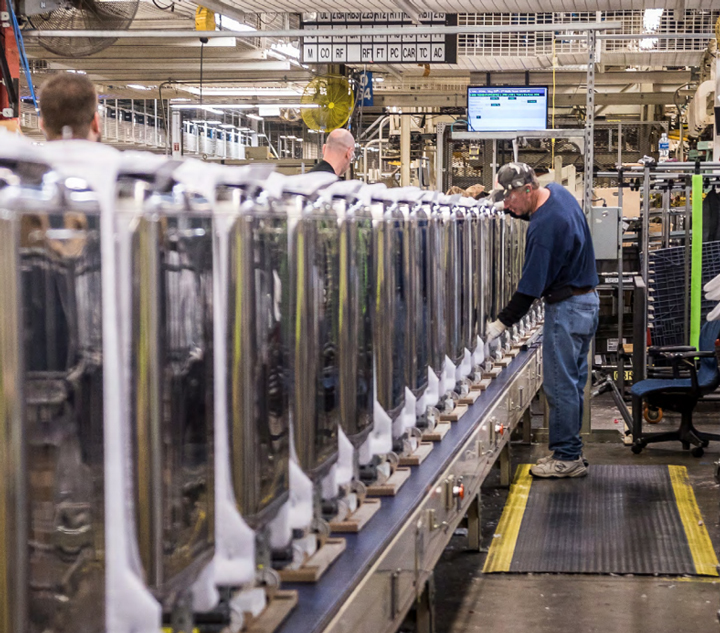 One of Whirlpool Corporation’s significant sustainability targets is zero waste to landfill from its production facilities worldwide – a mark it plans to hit by 2020. “It was easy to create a big goal, but we had to figure out how to measure it,” says Voglewede. Schneider Electric’s sustainability team worked with Whirlpool to define the scope of resource data to be collected and helped ensure consistency in project deployment. Whirlpool adopted Schneider’s energy and sustainability management platform, EcoStruxure™ Resource Advisor, to monitor and track data across the company’s facilities worldwide. With support from Schneider experts, data collection is now consistent and accurate, and Whirlpool’s staff is trained on EcoStruxure Resource Advisor. “This is a powerful tool that allows us to analyze data at a plant level, then aggregate them in a way that helps us to understand the problem and find a way to address it,” Voglewede explains. 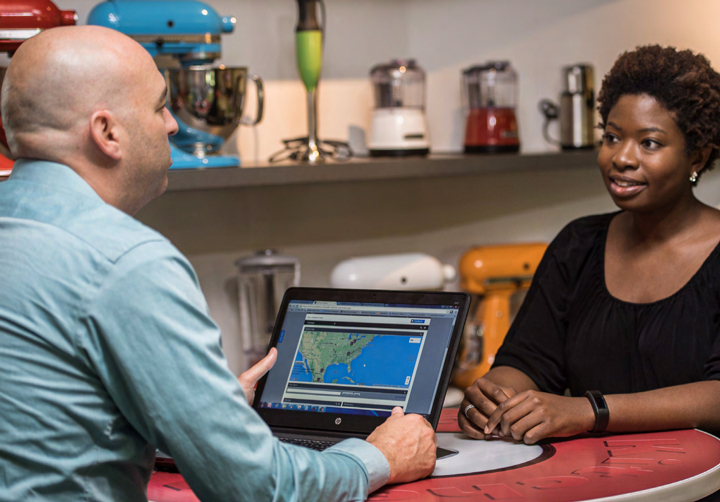 With advanced analytics from Schneider Electric, Whirlpool has turned its sustainability efforts into tangible business value. 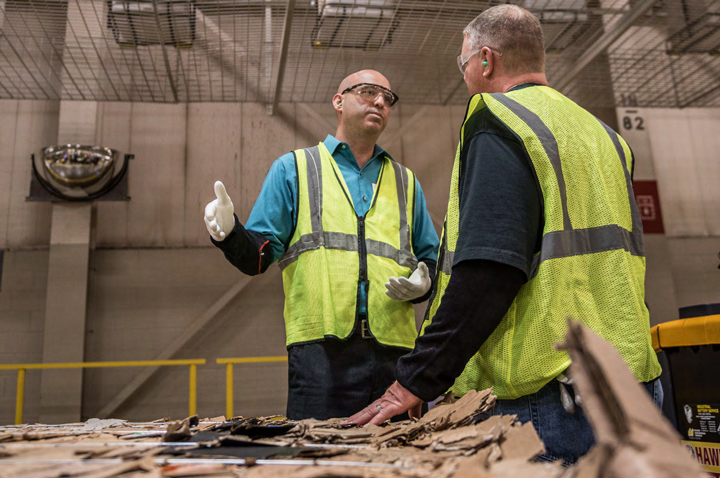 “By understanding that we had over 20 million pounds of corrugated cardboard waste in our Ohio plants alone, we anticipate saving more than $1 million over the next three years. And that is just in one state within one region,” says Ron Voglewede. Easy access to data helps Whirlpool track progress towards its zerowaste-to-landfill target. The global sustainability strategy has already brought impressive results as three plants in Brazil achieved the goal two years earlier than expected. Whirlpool has also committed to renewable energy for its manufacturing sites and EcoStruxure™ Resource Advisor is helping make it happen. With access to global resource data, Voglewede and team can analyze both energy consumption and costs, and pinpoint sites where renewables make business sense. For example, wind turbines at one of the U.S. plants provide 15 percent of the site’s electricity and help reduce utility expenses. The project is expanding to other locations and Whirlpool is expected to become one of the largest on-site wind power users on the Fortune 500 list.